With Christmas just a few days away I finally got my cards in the mail the other day. 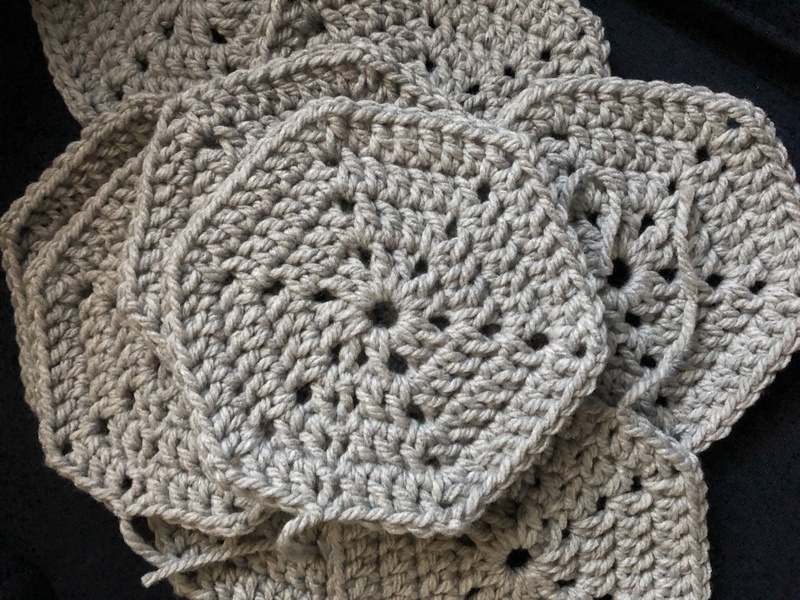 I was so gung-ho about making them super early this year – I took out all of my supplies for them back in late October and put it on my crafting table all ready to go, but, got sidetracked with a few other Christmas crafts I wanted to get done first. 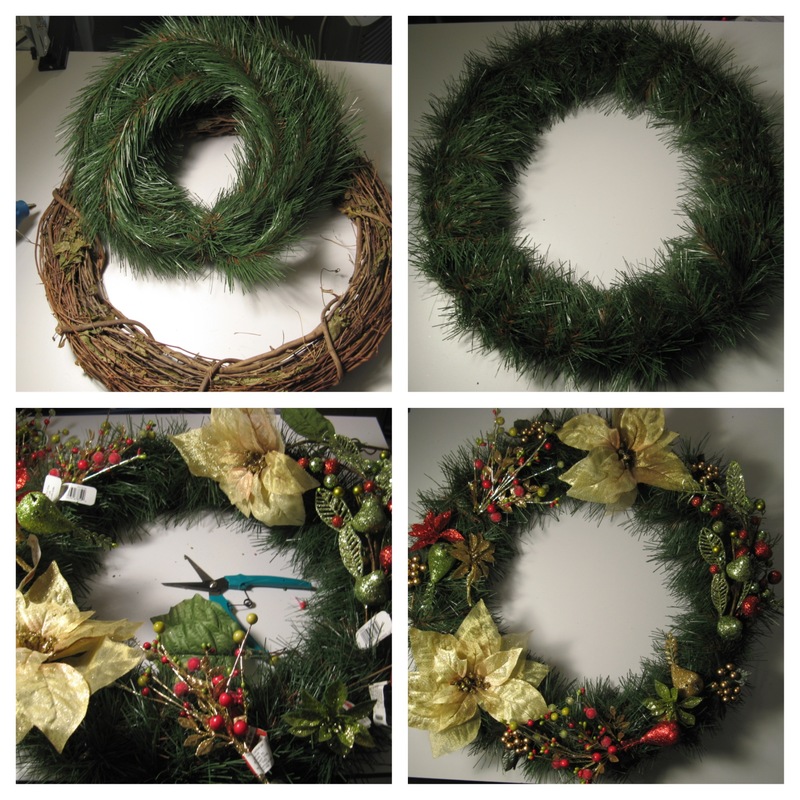 So, while I only have one main door to hang a wreath on – as most people – I ended up making three new wreaths this year. 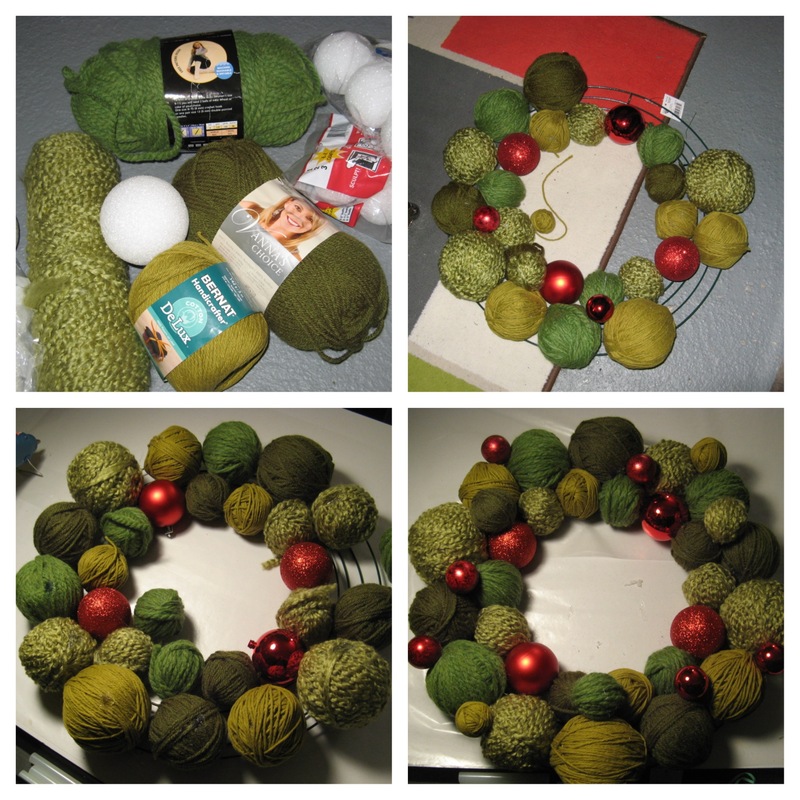 I only planned on making a new garland wreath to replace the one I made a few years back but while searching for ideas for that one I came across a yarn ball wreath that I had many of the supplies for – mainly yarn – and then I got an email that described how to make an ornament ball wreath in perfect detail. I tried making one of these a few years ago and didn’t have much success. Up first… the Garland Wreath. 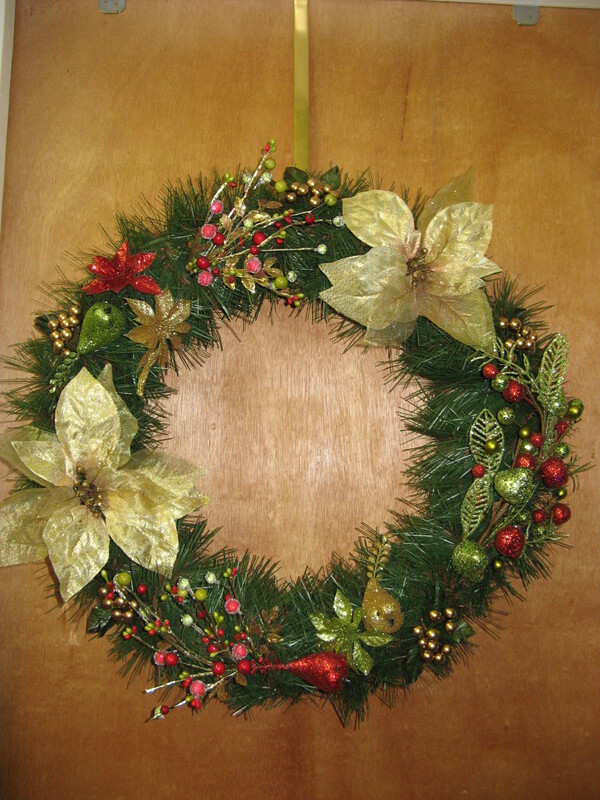 While my local craft store did have those green wreaths I could have just bought and decorated I wasn’t too fond of the way they looked – that’s actually what my original wreath is made with and I never really liked it because of it – so I opted to wrap an 18″ grapevine wreath with garland. After that was done I then decorated it with various Christmas picks. I bought and returned quite a few of them before I was happy with the layout. This is actually the wreath that made it to my front door. 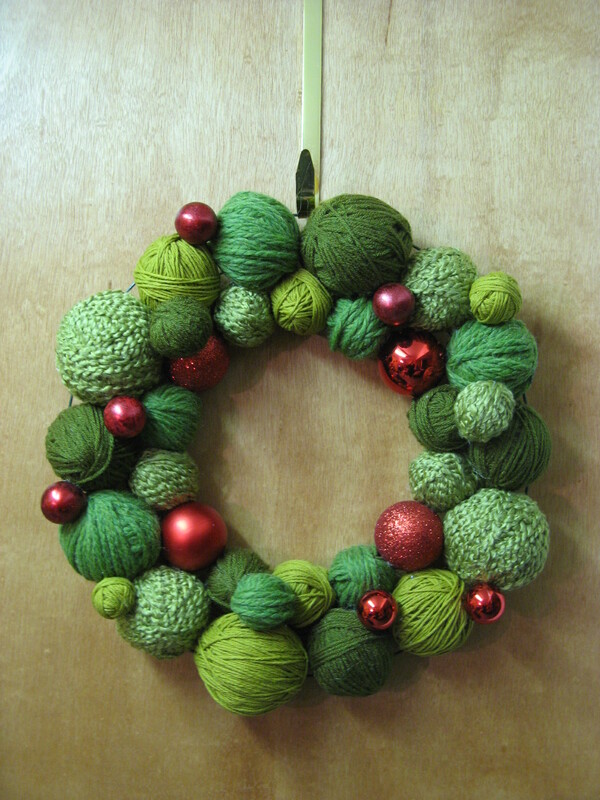 Then there’s the Yarn Ball Wreath. 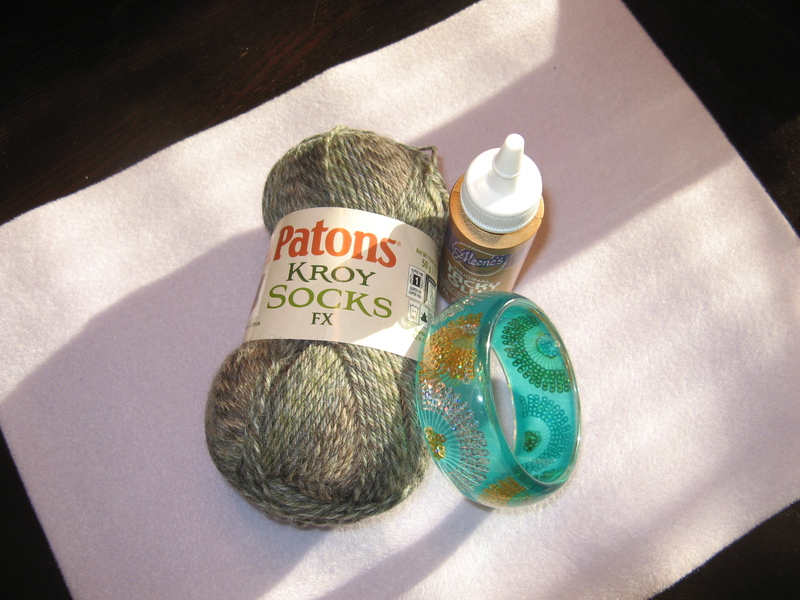 I used different shades of green yarn I had leftover from different crocheting/knitting projects to wrap various sized Styrofoam balls. 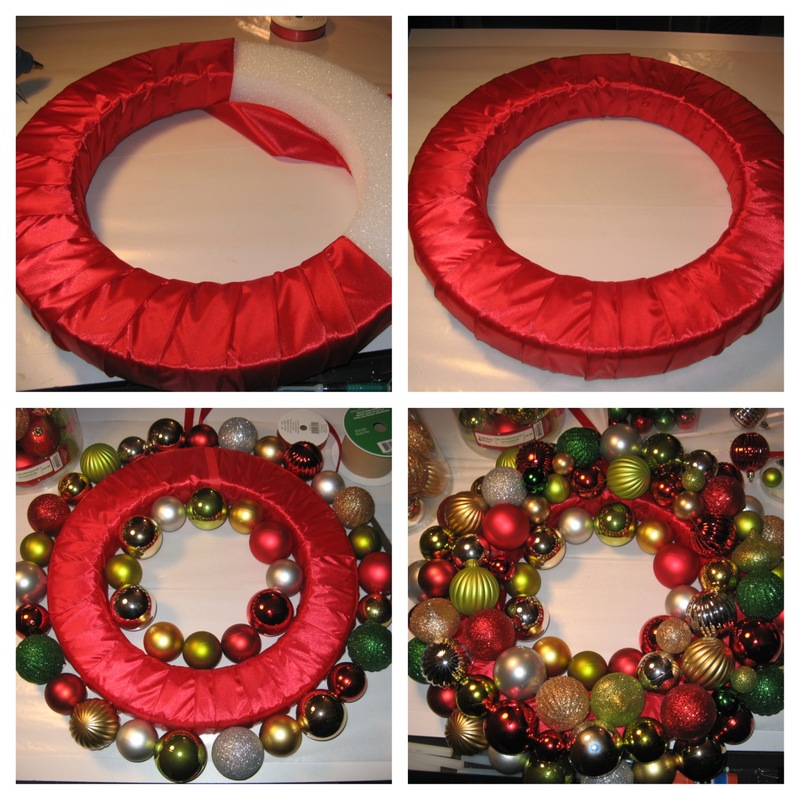 I then mapped out their placement on a wire wreath form and attached them using a hot glue gun. I then added in some red shatterproof ornaments for a pop of color and to make the wreath a bit more festive. 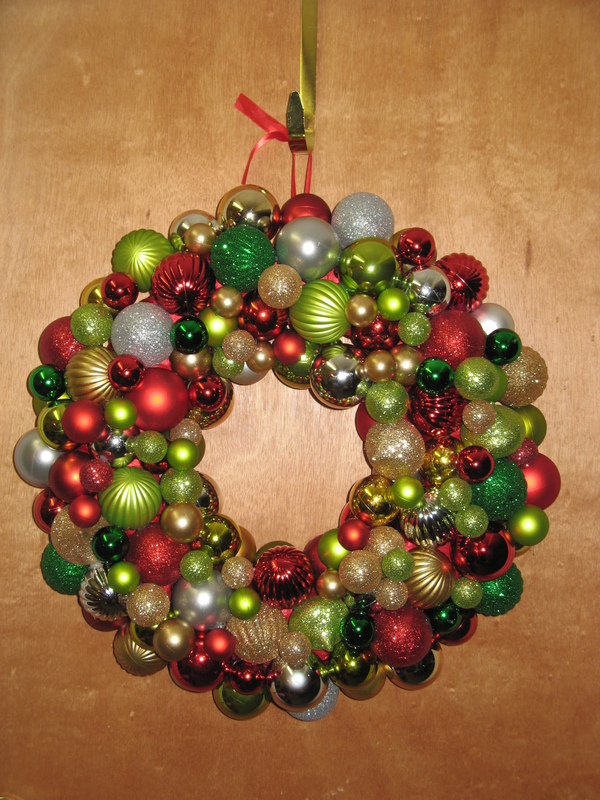 And finally, my favorite, the Ornament Ball Wreath. This was definitely the most time consuming, but, worth every minute. To begin I wrapped a Styrofoam ring with red ribbon tying a loop with the ribbon at one point so the wreath could be hung. I then lined the inside and outside of the ring with alternating sized shatterproof ornaments. I then filled in the flat part of the ring with various sized ornaments and finally – the part I couldn’t get too crazed with – I filled in the gaps with smaller sized ornaments. 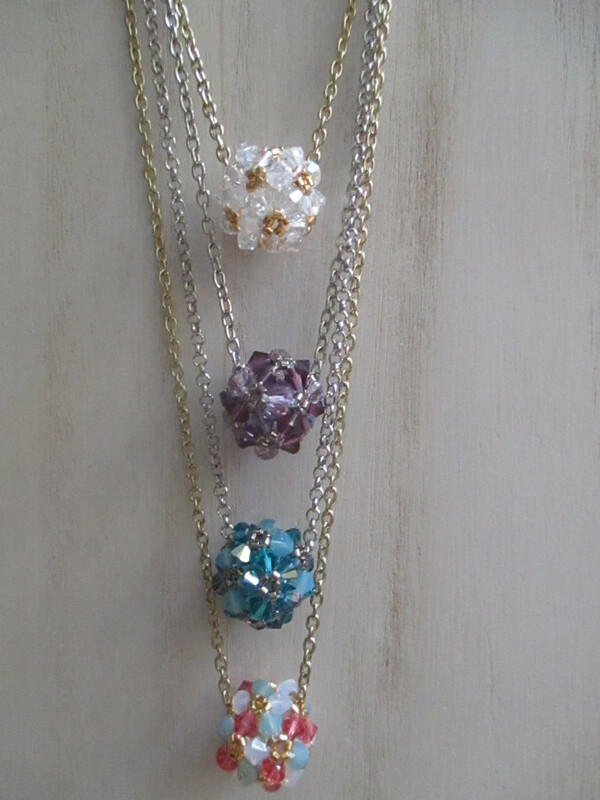 It’s very easy to go from beautiful to gaudy when adding the ornaments. After the wreaths I moved on to making snowflake ornaments. 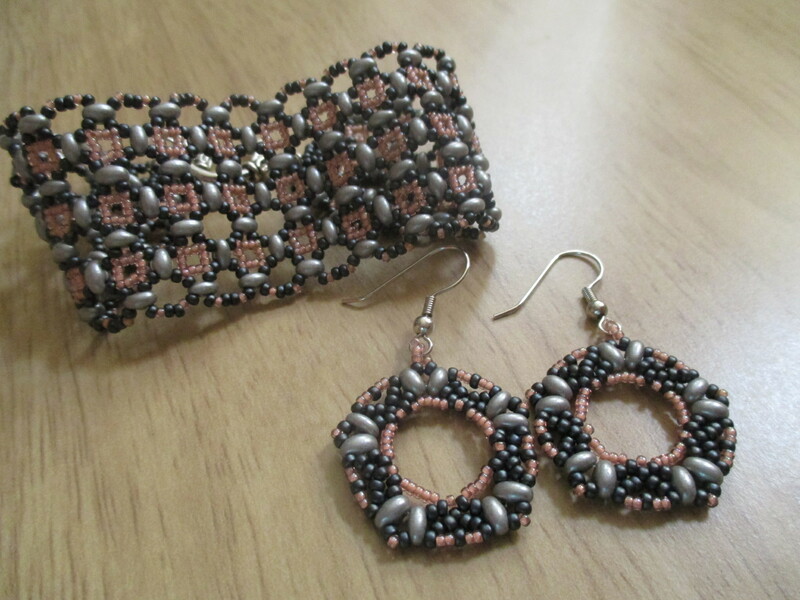 I got the wire forms (6-inch) from Fusion Beads and then it was just a matter of decorating them with pearls, crystals and seed beads in colors that reflected the holiday season or the intended recipient’s favorite color. 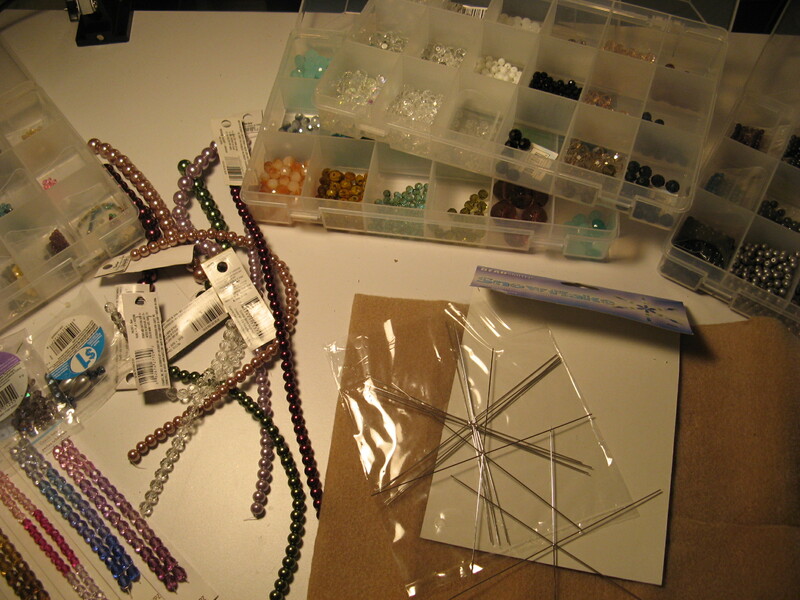 This was made all the more easier since I recently organized all of my jewelry supplies into storage containers. After a few wire mishaps (thankfully I bought extra wire forms) and a couple of wire gashes all of my snowflakes were done. After taking this picture I threaded all of them with coordinating ribbon so they could be hung from a Christmas tree, in a window, or wherever. 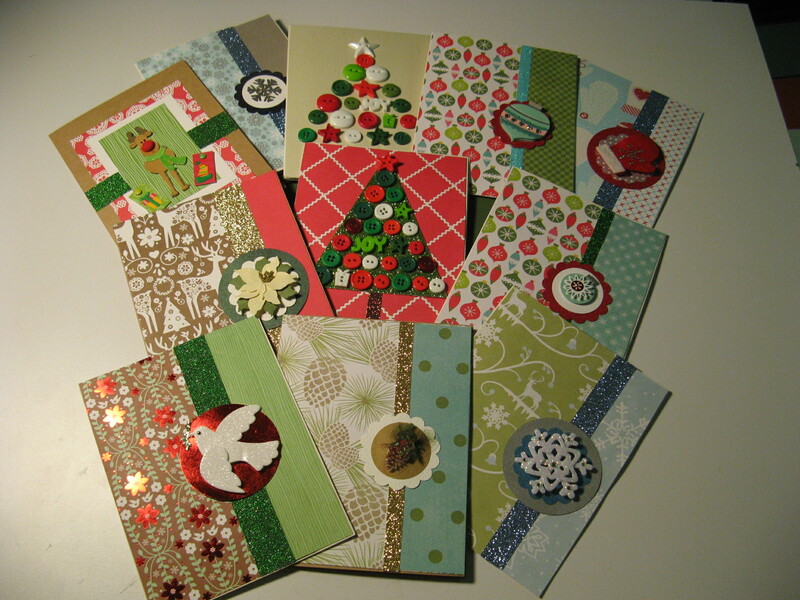 And finally… My handmade Christmas cards. While getting started is always a daunting task, by the third card I am full speed ahead. I even got a jump on next year’s cards by making a few extra this year. 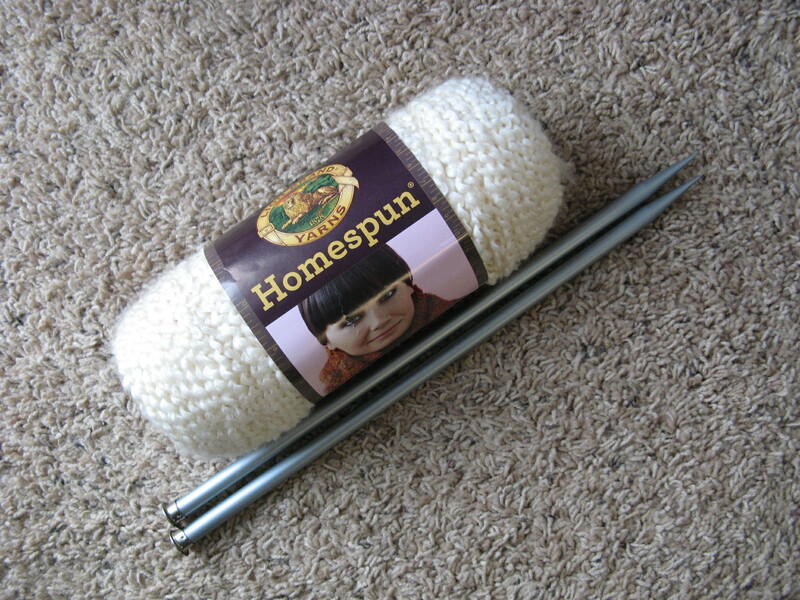 We’ll see if I still like them in a year’s time or I may just have other ideas of what I want to make by then. 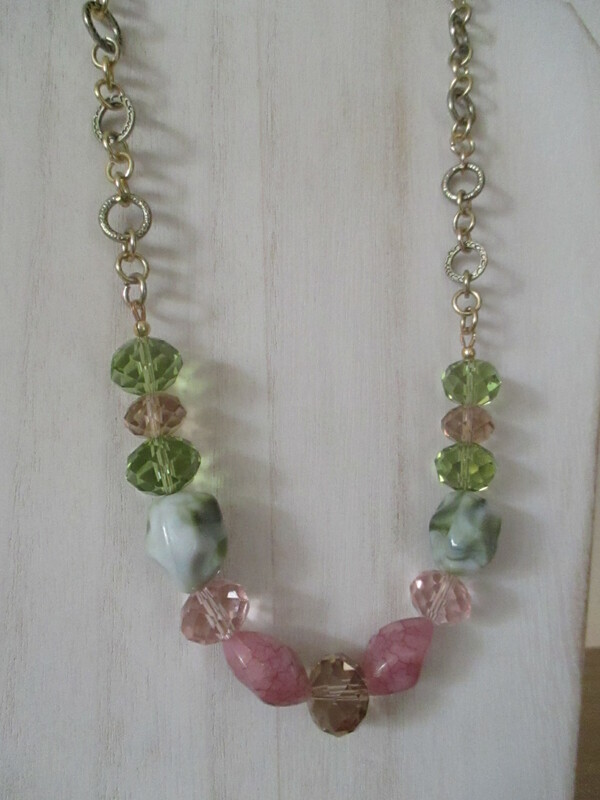 I decided to take a break from my knitting projects last week to work on some jewelry pieces that I have wanted to get done. In all honesty my arms and wrists needed a break from all of the shoveling I did from when I was snowed-in. 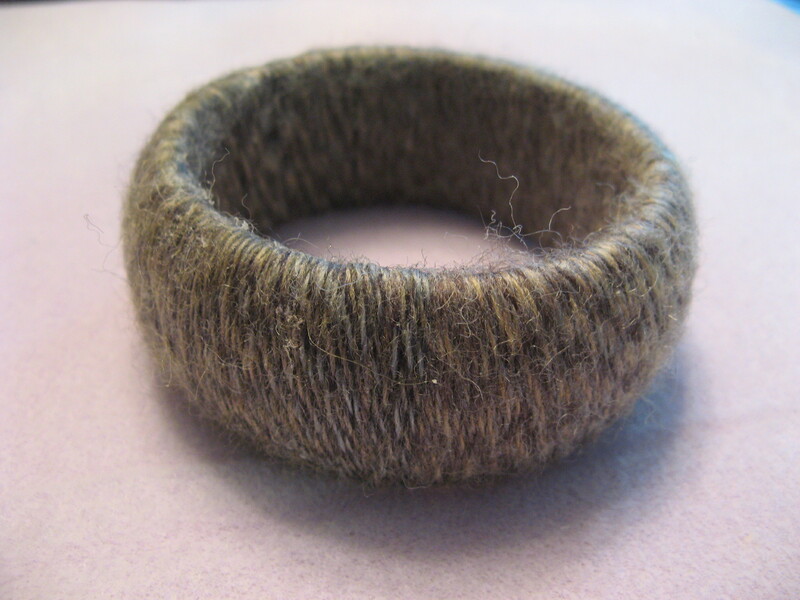 Up first was something super simple… Yarn Wrapped Bangle. 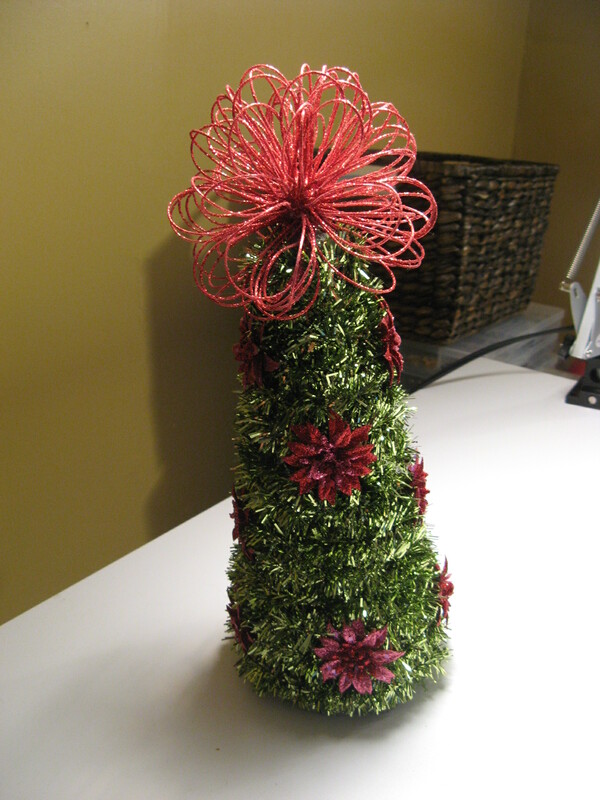 I got the idea from a craft email I receive every day from Martha Stewart’s website. 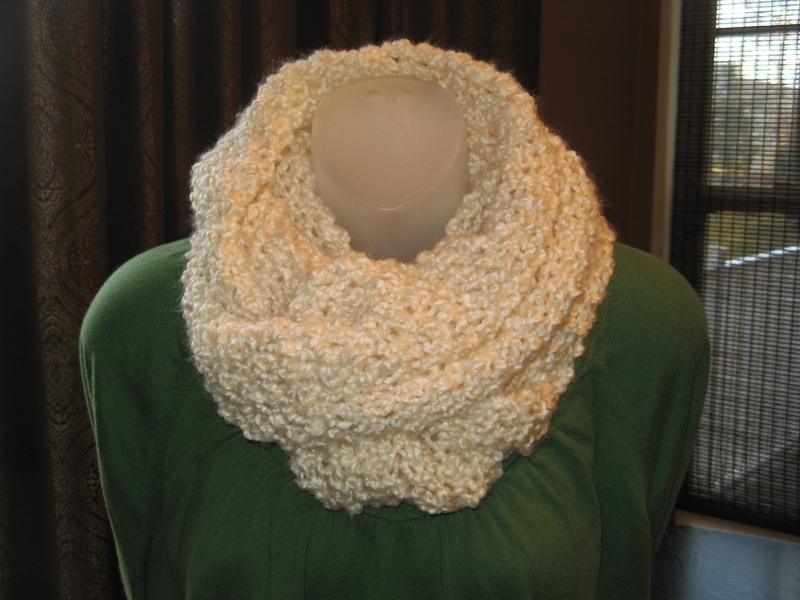 All I needed to complete this project was yarn (you can also use ribbon), tacky glue and a plastic bangle. It doesn’t matter the color or pattern of the bangle since you will be covering it up. The one I used had sequins on the inside and only cost $2… You can’t beat that! 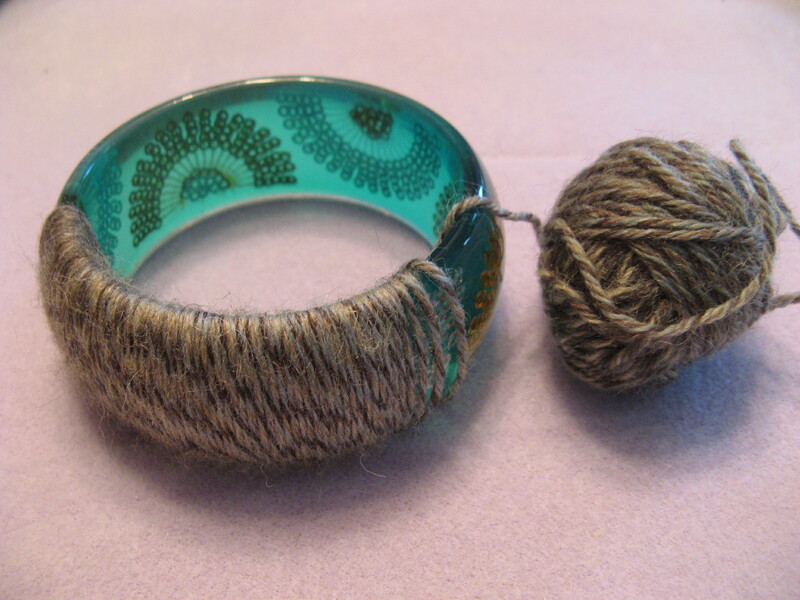 To start off I wound a few yards of yarn into small ball and glued one end to the inside of the bangle. 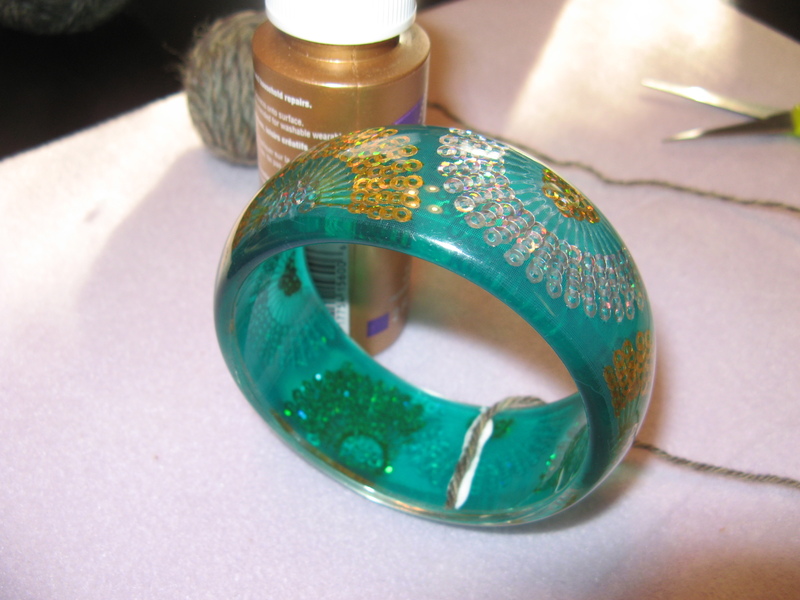 I let the glue dry completely and then started wrapping the yarn tightly around the bangle. 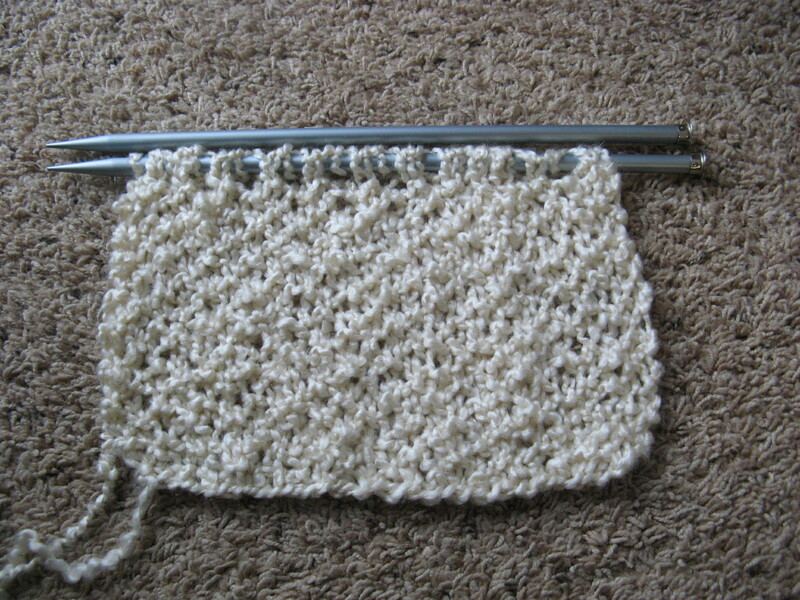 Every so often I stopped to make sure there weren’t any spaces between the yarn and around the midway point I added some glue to secure the yarn in place. It didn’t take long before I had a completely new bangle. 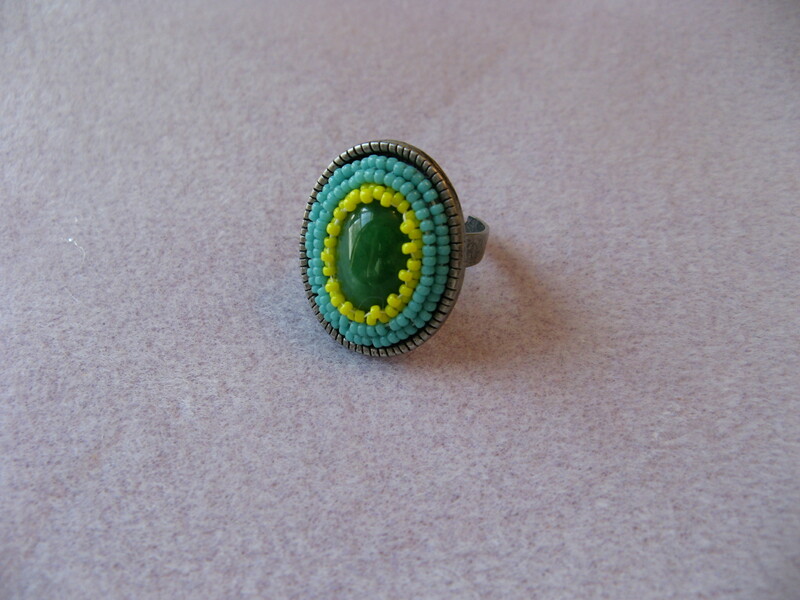 After that was done I moved on to a Cabochon and Seed Bead Ring. 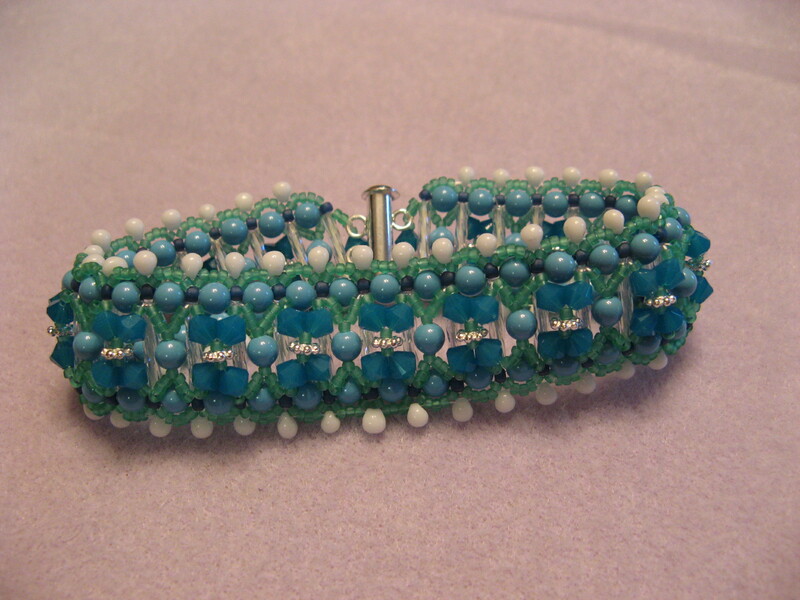 I got the idea for this piece from the February 2013 issue of Bead & Button Magazine in an article called Ring Tones. 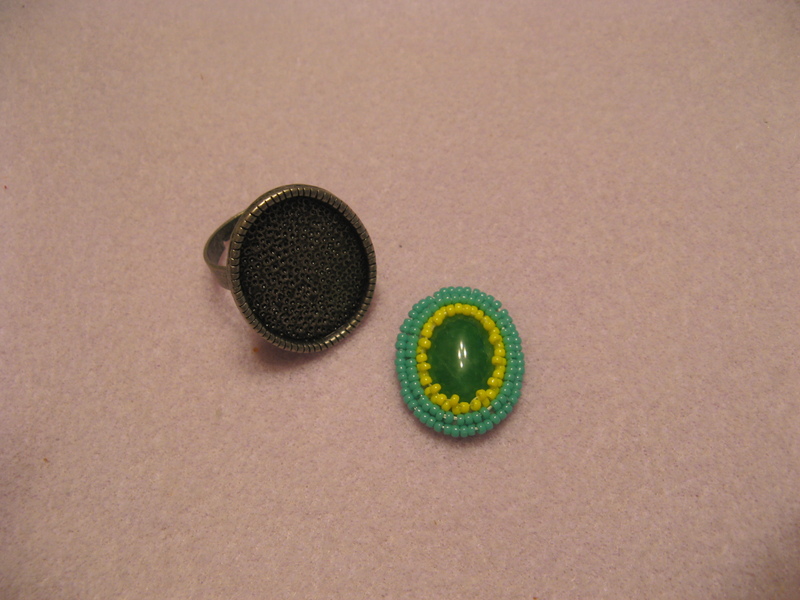 I used two different color size 15 seed beads, an oval cabochon, an adjustable ring and prestiffened felt for my beading foundation. I was able to find the ring and felt at my local Michael’s store and I ordered an assortment of cabochons from Fire Mountain Gems (www.firemountaingems.com) for under $3 so I have plenty more to use if I want to make more rings or pendants and such. 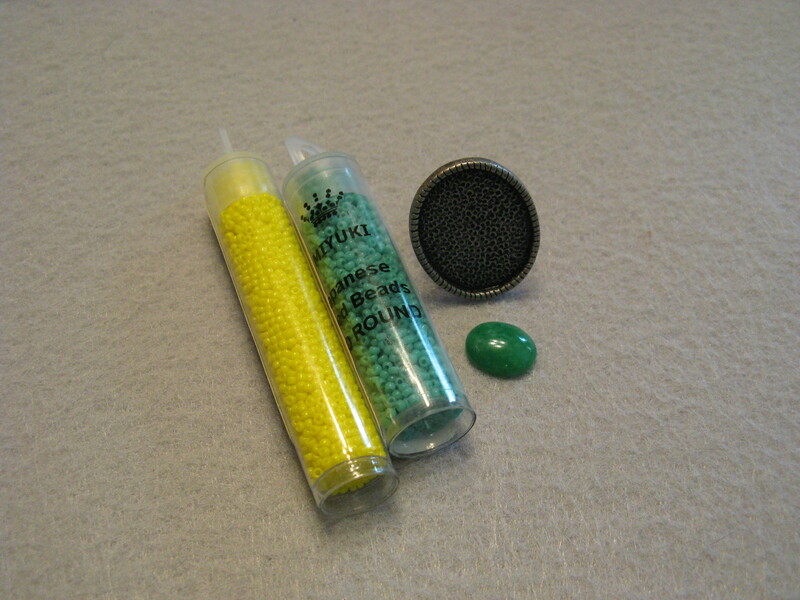 As for the size 15 seed beads, I had one of the colors and then took advantage of a sale at Beada Beada (www.beadabeada.com) and ordered an assortment of colors that I normally wouldn’t pick just to have a nice assortment for future projects. 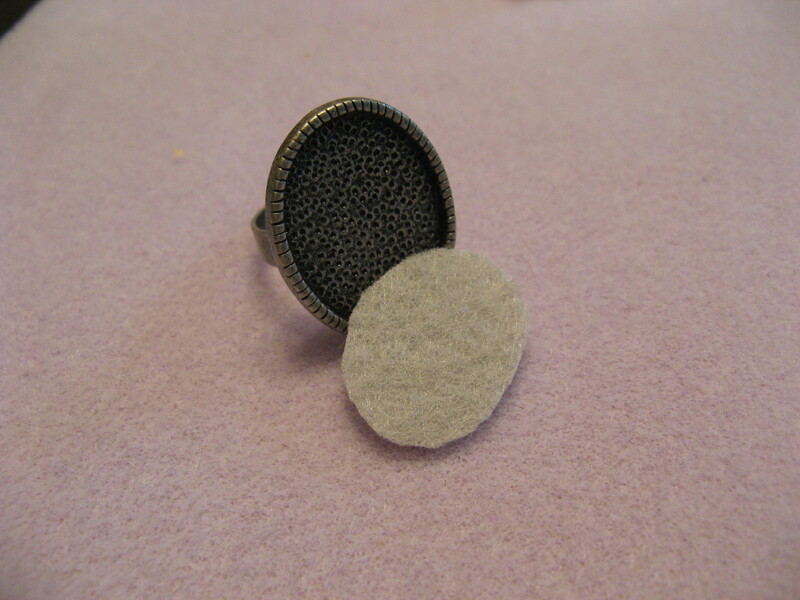 To start off I cut a piece of the felt to fit into the bezel of the ring. While the directions called for using two or more pieces of foundation I opted to use only one piece since the ring I was using had a very shallow well. Next up, I glued the cabochon to the center of the felt. 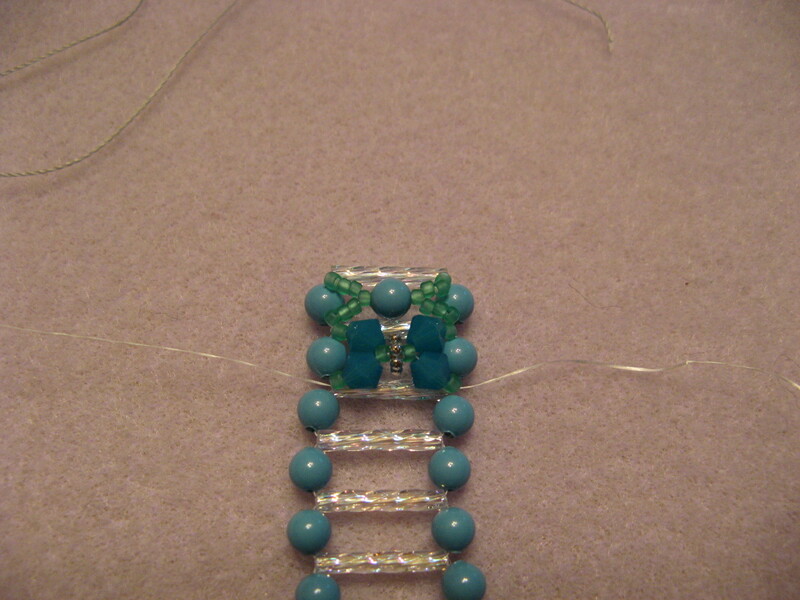 After it completely dried I began to stitch the seed beads around the cabochon using the beaded backstitch. 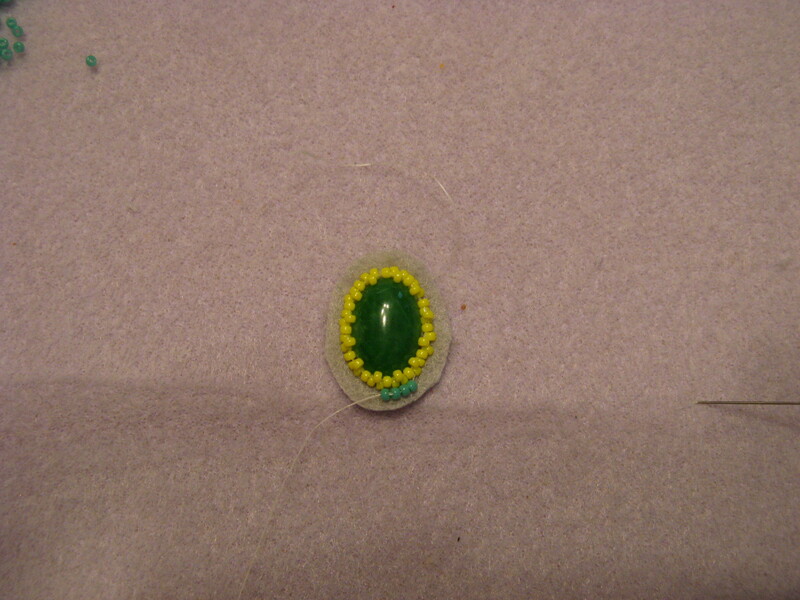 I started with a round of yellow and then added a second round of yellow on top of that round so that those seed beads would come up the sides of the cabochon. 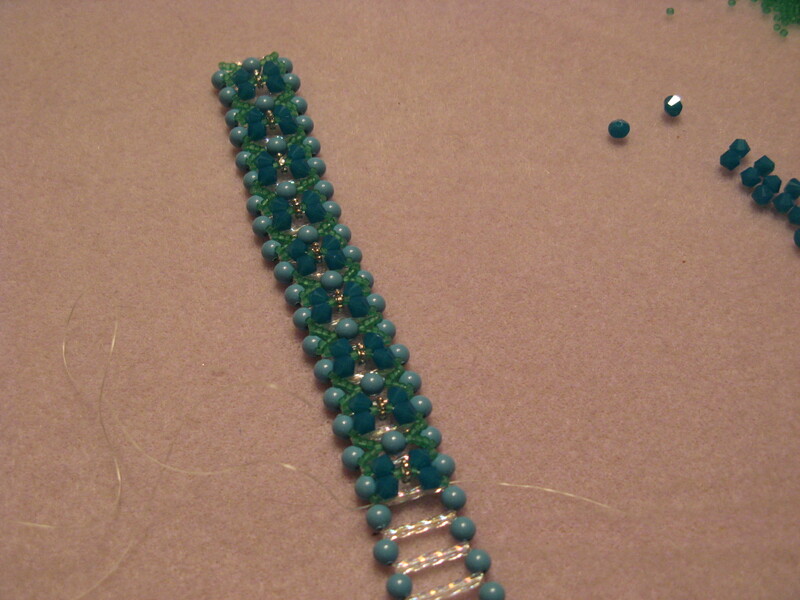 I then stitched two rounds of turquoise seed beads around the yellow. It wasn’t long before I was done and my embroidered piece was ready to be adhered to the ring. While I did have jewelry glue (which I used to glue the cabochon onto the felt) I opted to use Krazy Glue to adhere the entire piece to the ring so I could be sure it would stay put. I was really happy with how it came out and I can’t wait to wear it. 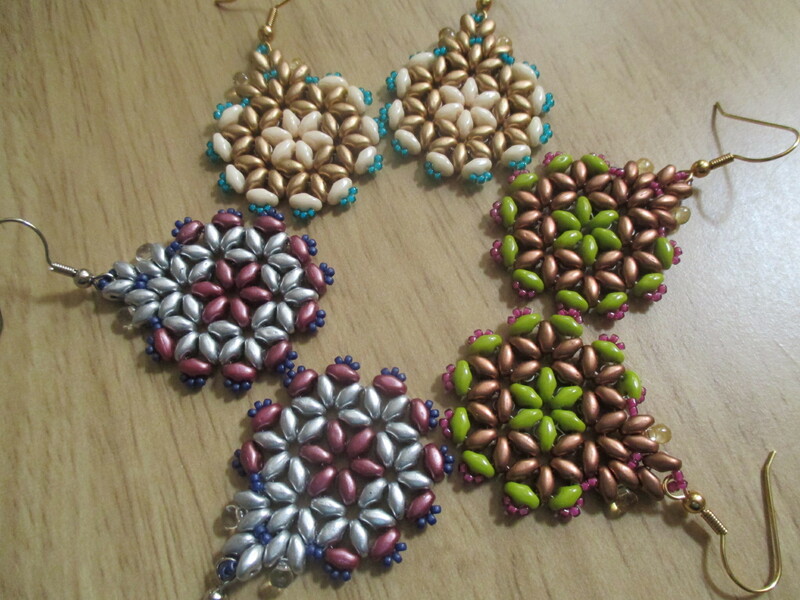 And now that I know how to embroider on felt I am looking forward to making other pieces of jewelry. 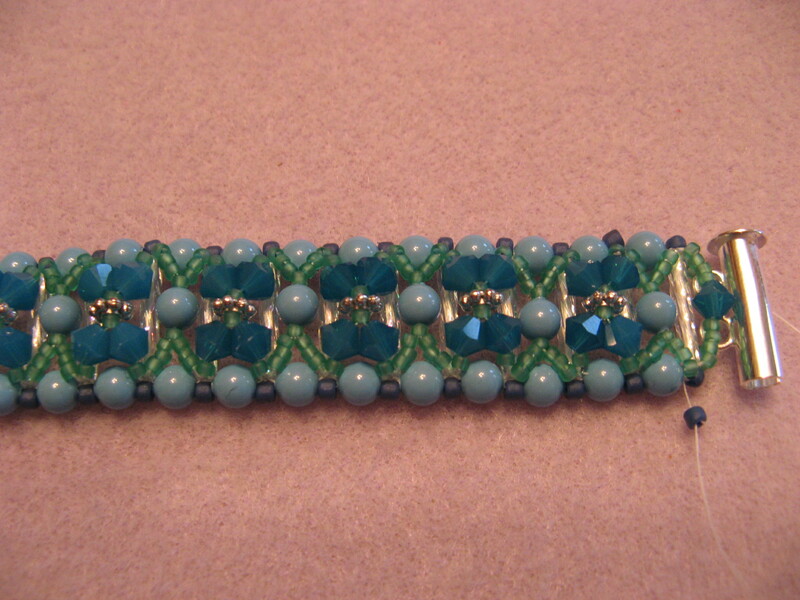 And finally the last piece I made was a bracelet that I also came across in the February 2013 issue of Bead & Button Magazine called Crystal Bridges. 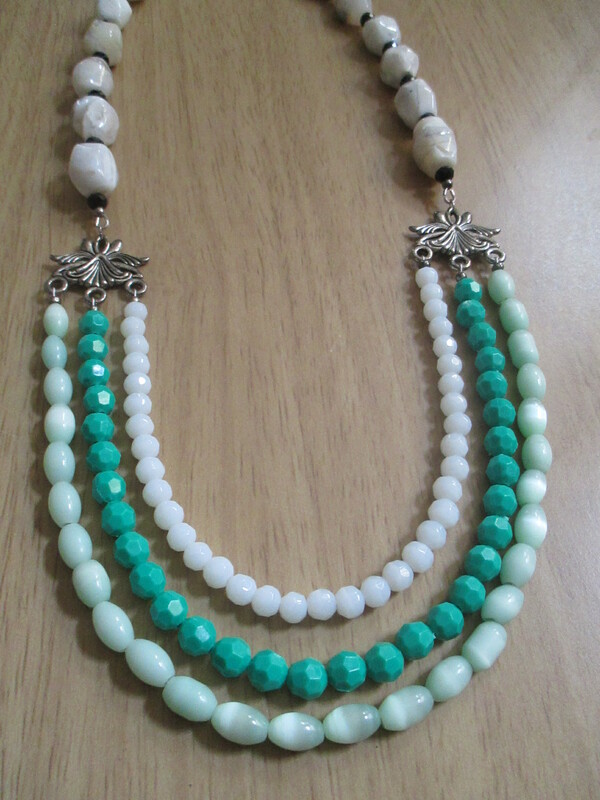 The bracelet is made with 12mm bugle beads, 4mm pearls, 4mm bicone crystals, 3mm fringe drops, size 11 & size 15 seed beads, 4x1mm daisy spacers and a two-strand slide clasp. 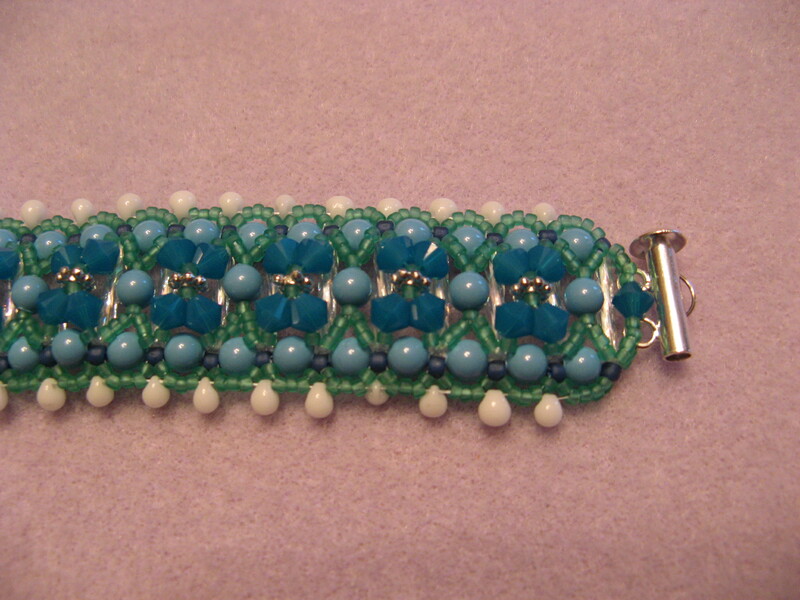 While the article did have suggested colors for the bracelet I opted to go a different route and made my bracelet in shades of blue. 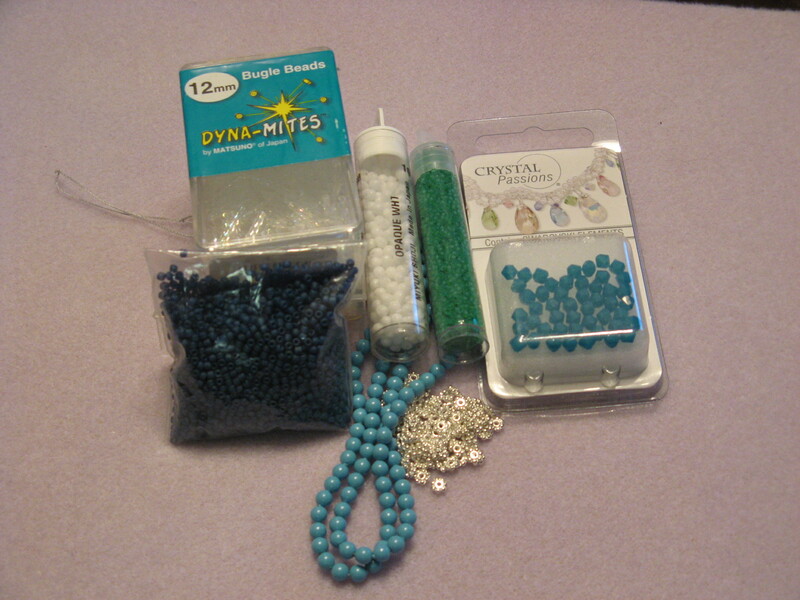 I had Swarovski Crystal bicones in my beading stash that I wanted to use so I based my other colors off of them. 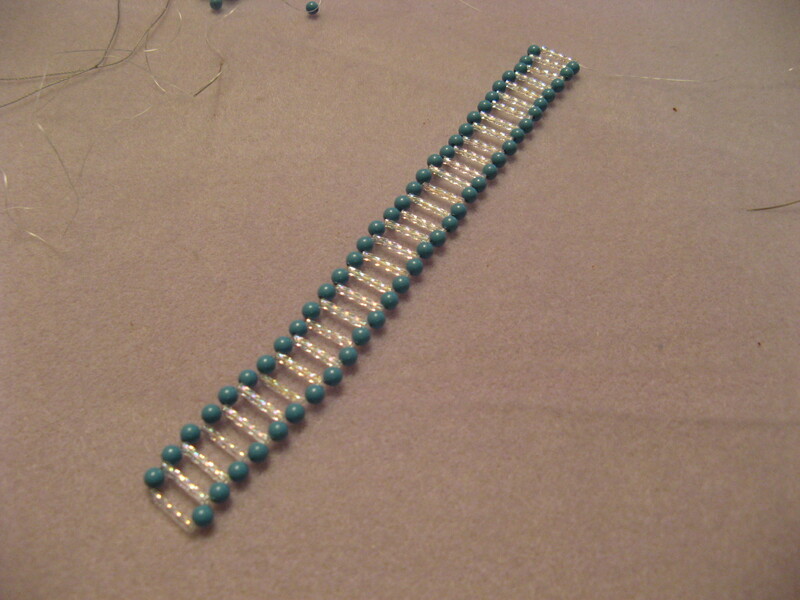 To start I created the base of the bracelet by using the crossweave technique to add the bugles and pearls. On a comfortable length of Fireline I threaded a size #12 beading needle onto each end and then centered a bugle bead onto the thread. Then with each of the needles I picked up a pearl and with one of the needles a bugle bead and then crossed the other needle through it. 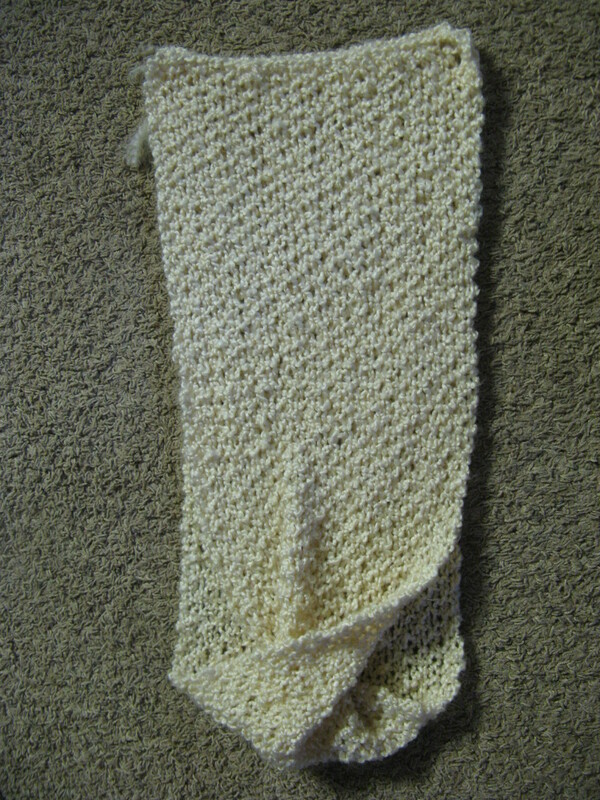 In total I added 32 bugles for the bracelet to be approximately 7 1/2 inches. Just to note, if the size needs to be adjusted the number of bugles beads on the base must be an even number for the top embellishment to work. Following that I added the top embellishment. 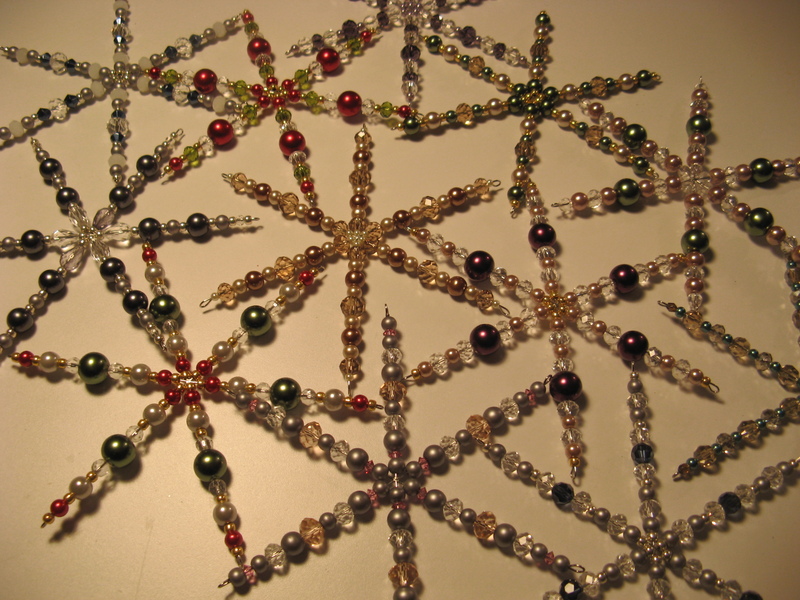 I once again used the crossweave technique to add the pearls, size 15 seeds beads, bicones and daisy spacers. 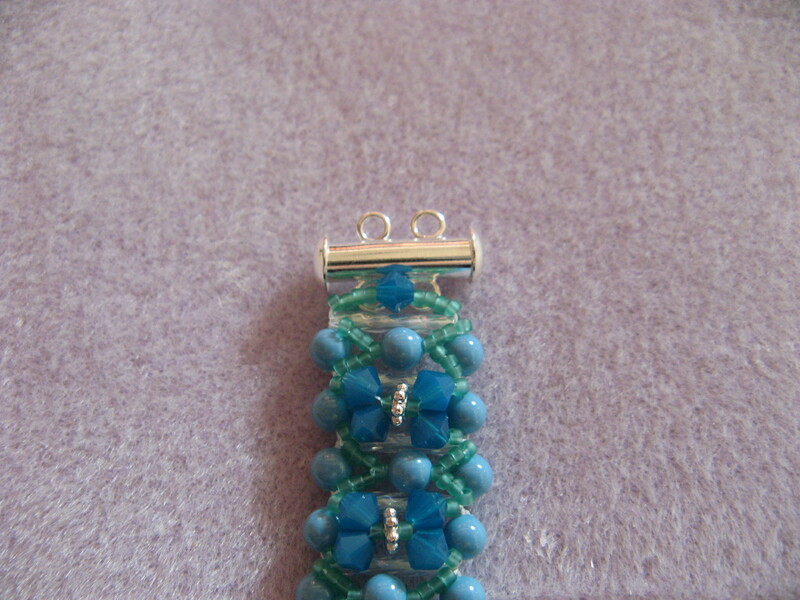 Once that was done it was time to add the clasp. This was a little backwards to me since I am accustomed to adding a clasp to piece of jewelry only once it’s completely done. 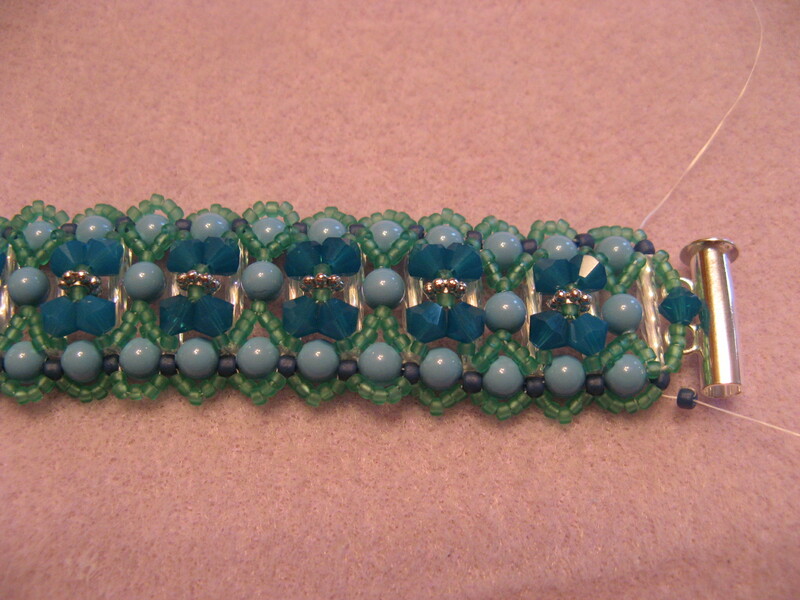 Once again I used the crossweave technique to add size 15 seed beads and a bicone crystal to attach the clasp to the bracelet. In all honesty the bracelet could be worn like this and you could forgo the side embellishment, but, if you want more of a unique piece I think it’s necessary to keep going – which is what I did. 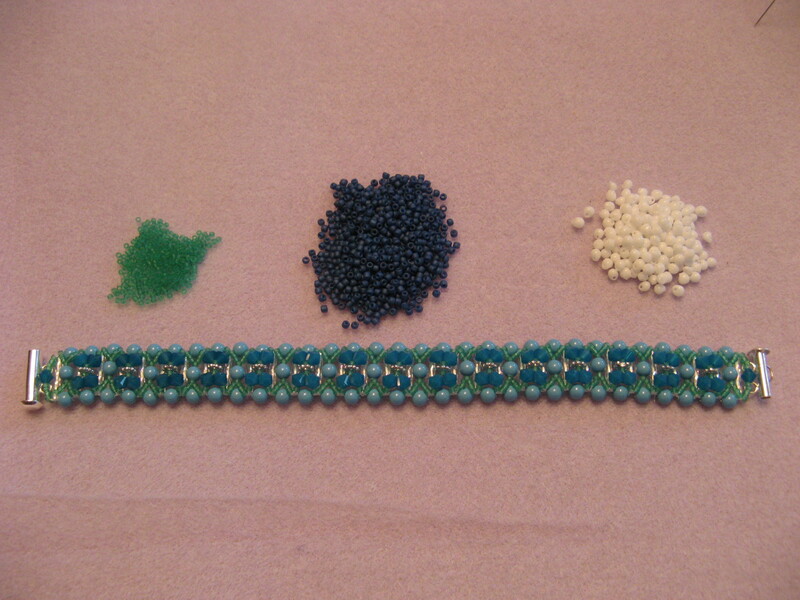 To add the side embellishment – which consists of the size 11 & 15 seed beads and the fringe beads – I worked in a simple bead weaving technique. To start I added one size 11 seeds between each of the pearls. 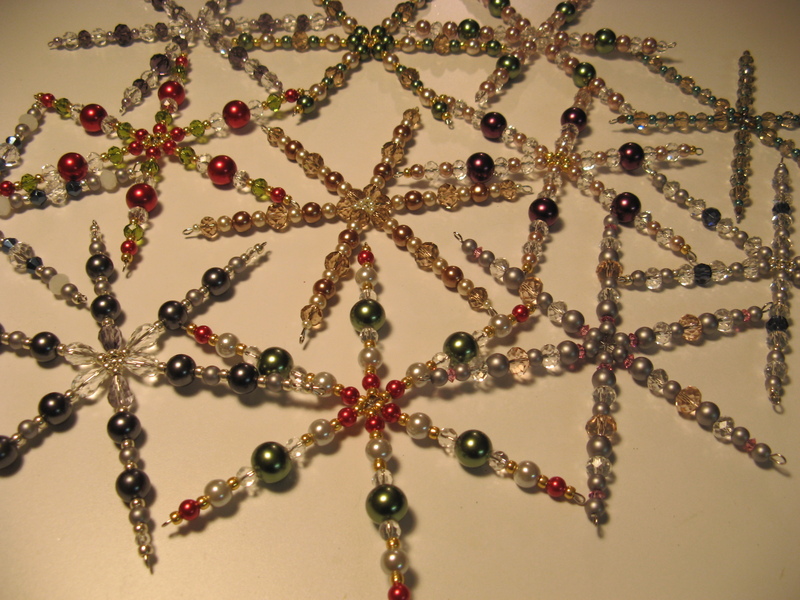 I then added five size 15 seed beads by stitching my thread through the size 11 seed beads I had just added, which basically left the size 15 seed beads arching around the pearls. I was concerned at this point because the size 15 seed beads weren’t sitting flat. I kept playing with the thread by pulling it snug and then loosening it in an attempt to have them fall flat, but, it didn’t work. Luckily the final step rectified the problem. Finally, I added the fringe drop beads by sewing through the three middle size 15 seed beads from the five I added in the previous step. Basically the fringe drops sat next to the size 11 seed beads. I ended my thread and my bracelet was ready to wear. 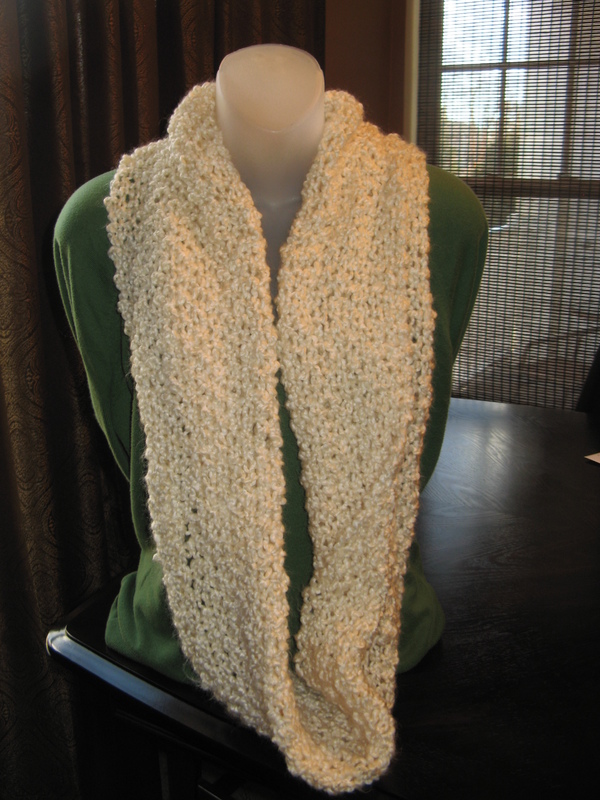 Unfortunately I’ll have to wait a while to wear it since the colors are more for Spring/Summer.